UP organized the second public service conference for colleges and universities in the Philippines to take stock of, develop, and possibly coordinate public service delivered by the country’s higher educational institutions (HEIs). UP organized the first one in 2015. 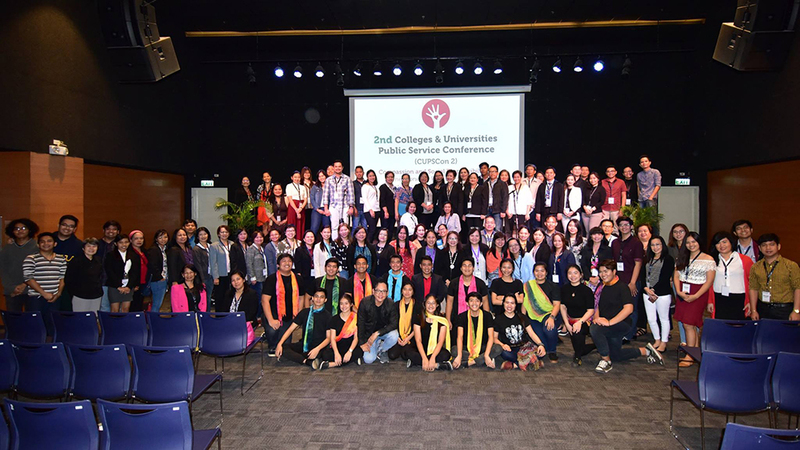 Held in two legs by the UP Padayon Public Service Office—in Bonifacio Global City and Cebu City on November 9-10 and 28-29, 2017, respectively—the 2nd Colleges and Universities Public Service Conference (CUPSCon 2) had the theme “Compassion and Social Responsibility: Cornerstones of Public Service and Extension in Higher Education”. The conference featured more than 130 presentations from 35 HEIs, reflecting the range, best practices, challenges, and thrusts of public service by private and public HEIs in the country. The plenary speakers who gave presentations on the lessons resulting from public service initiatives and experiences of their organizations were: Assistant Secretary Aleli Bawagan of the Department of Social Welfare and Development; Prof. Glecy Atienza of UP Diliman College of Arts and Letters; former UP President Alfredo Pascual; UP Cebu Chancellor Liza Corro; and, Prof. Early Sol Gadong, an education innovator from UP Visayas. 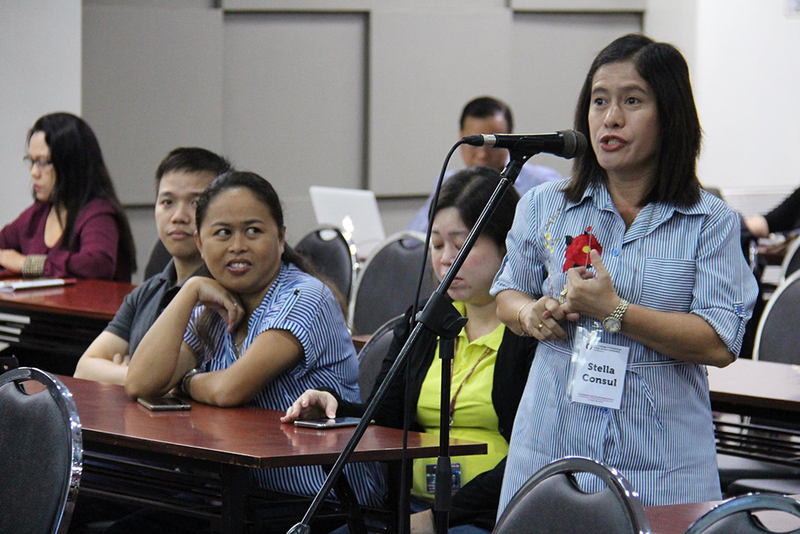 A common challenge faced by the participants was the still informal status of public service in universities and colleges, vis-a-vis their more recognized functions of teaching, research, and extension. The conference also developed the theme of rendering public service integral or contributing to and arising from academic specialization. The parallel sessions were facilitated by the following Padayon Public Service Office fellows: Celia Balbin of UP Diliman, Charina Maneja and Christine Joyce Mendoza of UP Los Baños, Fedelynn Jemena of UP Manila, Soledad Garibay of UP Visayas, Emely Amoloza and Luisa Gelisan of UP Open University, and Vlademir Shuck of UP Mindanao, among other notable public service workers of the University. The public service initiatives covered: community health; agriculture and green technology; public management and community development; community spatial and environmental development; empowerment of marginalized and vulnerable sectors; heritage preservation and cultural enrichment; pedagogy and academic improvement; promotion of voluntarism; reintegration of ex-convicts; and, literacy, livelihood, skills, and industry training. The Padayon Public Service Office is currently headed by Dr. Ma. Crisanta Flores. The office was formed in 2012 under the Office of the Vice President for Public Affairs to monitor and coordinate public service in UP and to operationalize UP’s mandate as HEI leader in public service. In his welcome remarks during the first leg of CUPSCon 2, UP Vice President for Public Affairs Jose Dalisay Jr. expressed UP’s hope of higher education institutions learning from each other in terms of best practices in public service and extension activities, how these are valued and programmed in the institution, and internal networking.